Gilman Precision is a small business based in Grafton, Wisconsin. 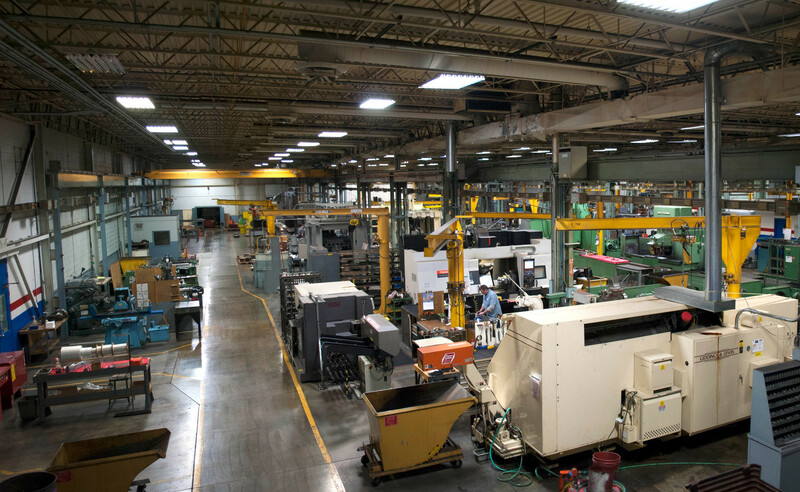 Our team of 40 employees develops customized slides and spindles for value-minded engineers with exacting needs and provides expert service for virtually any manufacturer’s equipment. Serving a variety of industries and applications, our engineered solutions are advanced by a highly skilled and knowledgeable team. We began our international business in 2012 and since then have seen an increase of more than 600% of sales from overseas. Overall, we’ve seen an increase in employment here at Gilman by 11 percent. Now, we are proud to say that our customers are all over the world. In 2017 alone, Gilman exported to Brazil, Canada, Hungary, Italy, Japan, Malaysia, Mexico, New Zealand, Singapore and Taiwan. At Gilman Precision we believe any opportunity for free and fair trade would be a benefit to our organization. We would be supportive of additional agreements that would enable us to become more effective and efficient in selling across borders. We are dependent on the success and implementation of NAFTA as our top export markets are within that region. For instance, we have recently sold a prototype compound assembly to Canada for delivery in 2018, which, with success, will turn into a significant annual opportunity with this customer. We need NAFTA to grow our business and close that deal. I am very concerned with the recent talks in Washington regarding international trade, especially those concerning NAFTA. To us, NAFTA is very important to thrive internationally. Gilman Precision is currently negotiating a $3.5 million deal, and NAFTA could help us see our export revenue increase to 33% of overall sales. Our current and future potential deals with countries such as Canada can help us increase our presence abroad while contributing to our company growth. International trade is crucial, and we need Washington to protect efficient trade agreements like NAFTA that can be a tool for companies, like ours, wanting to expand abroad. International trade is crucial, and we need Washington to protect efficient trade agreements like NAFTA that can be a tool for companies, like ours, wanting to expand abroad.